My Journey to Fit: WWU - All the Exercise! WWU - All the Exercise! It's Wednesday once again, which means it's time for me to complain about our running weather. Because seriously, the weather gods really seem to hate us. For example, last week, we had gorgeous, incredible, amazing fall weather for our weekday runs. It was WONDERFUL. I had two 3 mile runs and a 4 mile walk and was loving life. And then, for our 7 miler on Saturday? It was 74 degrees, with 100% humidity. And the capper was our route - hey, I thought to myself, why not change things up and go a different direction - won't that be fun? No. It was a terrible idea. A terrible route. I should be fired from creating our routes, it was so bad. It was a long gradual uphill. In a subdivision, which made the already hot and humid weather that much more stifling thanks to all of the sprinklers going off, plus no breeze could be felt thanks to all of the houses and trees. I was hating myself so much for coming up with this route. And the kicker is that when we turned onto the main road that we've been running on almost exclusively the last couple of months? That's where we felt a breeze! Naturally, my route only had us on that road for about a quarter of a mile before we turned we turned back into the subdivision, because apparently I just wanted to punish our group for ever deciding to become runners. As you might imagine, the run pretty much sucked. Somehow, Diane and I made it to the end and met up with the rest of the Renegades, who'd all endured the same horrible conditions. Just once, it would be nice if we'd get a cool front in time for our long run - it's challenging enough to run longer distances; can't we at least have some decent weather to do it in? So you know I'm a social exerciser, right? Pretty much, if someone wants to workout or run or walk together, I'm there. I'm not even embarrassed that I don't like to exercise by myself - there are no rules about how you have to exercise, and this is what I prefer. 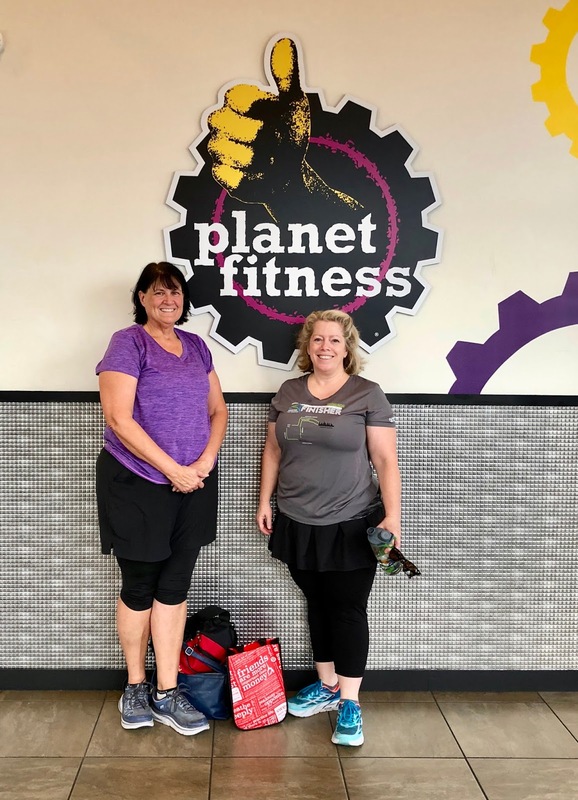 That said, when Diane mentioned a while back that she was going to join Planet Fitness, I was thrilled and rejoined as well. Neither of us are trying to become body builders; instead, we both would love to strengthen our muscles to prevent running injuries - and hey, if it happens to make running a bit easier, that would be a nice bonus. We've been going there twice a week for nearly two months, meeting after Diane is off work. We do the 30-minute circuit room, then do some planks, and use the adductor/abductor leg machines as well. It's a good workout with room to increase the weights as we improve; I like this because it feels like I've done something without making myself so sore that I can't run the next morning. About 2 weeks into working out, finished and on our way to Salata for dinner. Around the same time that I added in Planet Fitness to my exercise, Cary also asked if I'd be interested in going for walks with her and baby Logan. OF COURSE! I like to go for walks, but just about everyone I know works full time, so I rarely have a walking buddy. Because Cary is on maternity leave, we don't start our walks until 8:00 am, which means I only have to wake up super early three mornings a week to run. We usually walk twice a week, for 4 miles each time - it's been great! I feel like the walking is adding some stamina to my running, although when it's so hot and humid, I don't know that anything really helps running. I will be sad when Cary goes back to work, because I know me, and I'm not going to walk outdoors by myself. But maybe by then, I will be so used to getting that walk in that I'll go to PF early and walk on the treadmill before Diane arrives for our workout. It might happen! Any case, I'm enjoying all that I'm getting to do right now. That's a great schedule with nice variety. After knowing you all these years it still surprises me when you say you won't exercise alone. Maybe because that's mostly all I do? And like you said, "no rules" so you doing it your way, is the best way! I swear, if I lived there I'd be tempted to look at the forecast and change my long run if I thought it would be cooler another day. Slogging through hot long runs week after week is hard and you guys deserve a break! We have delayed our run to Sunday when the weather is iffy on Saturday, but Sunday's cold front came with thunderstorms that meant we wouldn't have gotten to run until 10:00 am, which is crazy late for us. Those storms even caused a local half marathon to be delayed and then cancelled. Hah, hit enter on myself too soon! Anyway, sometimes you just can't seem to win with weather and running. Looks like you got a good thing going on there and it's nice that you have friends to do it with! That's the great thing about going to the gym because the strength training really does help in preventing running related injuries. I need to get back to it myself! Fingers crossed on the injury prevention, fingers crossed! LOL! So did you get fired? Was everyone giving you crap about the route? 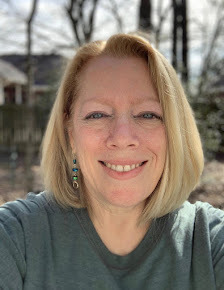 I know our weather is no where near as bad as yours, but I had a run last week that I felt so horrible in, as I was running with the wind at my back, that I could not wait to turn around and have it in my face. Blah. Pretty soon I will be saying the wind is too cold (our low was in the 30s today)! So excited for the cold front - I know you know what that's like! Good grief, what is wrong with me? The only excuse I can think of is that I thought it was Thursday this morning?? Anyway, boo on the bad running weather, but yay on the new social exercise opportunities! LOL, you were off on the Shelley calendar! What a perfect work-out schedule! I miss getting to run in the morning and gym in the afternoon, now that I have a "real" job. I only have time for one a day now and I always feel like some part of my fitness suffers. Crossing fingers your weather will give you a break soon, Shelley! I never was a social exerciser but now that I workout with Steph, I can't imagine going back to a solo workout!